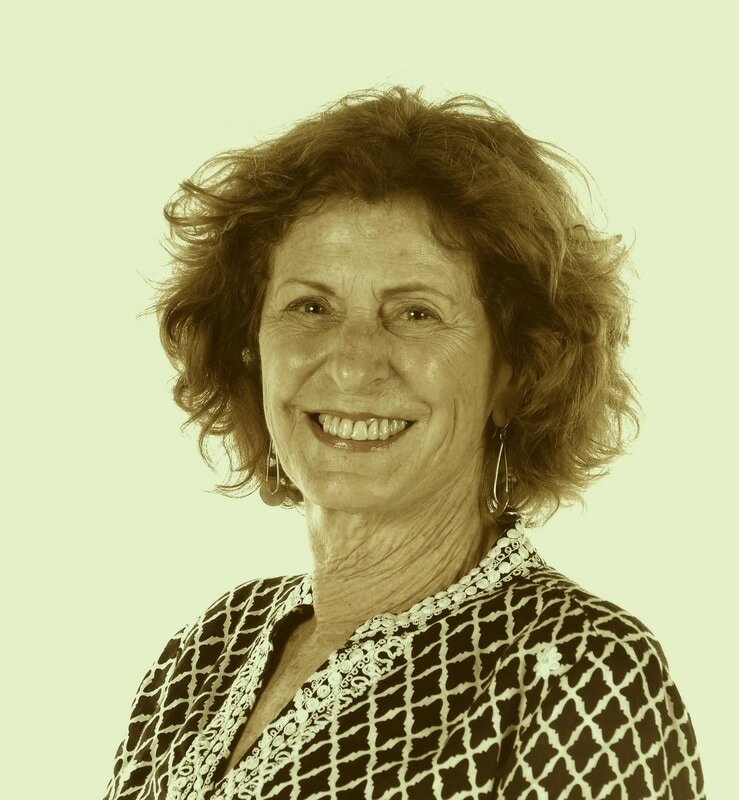 The process of aging is especially on the minds of Boomers and those Beyond who are moving toward or are into what may be considered "the elder years". Most of us do not welcome the idea, or the reality, of looking and being what is considered "old". Given the choice we might like to stay young, forever. So what can be done? How can we get to a better place with this inevitable aging business? Our fortunate generation, like no other before, is forging new territory as we explore how to slow down the aging process and continue to grow... into who we are truly meant to be. May together we be the change-agents and the light-bearers as we move along our life paths. * "Kripalu Yoga" classes for beginning and more advanced students. The style is a Slow Flow Yoga, a gentle yet dynamic mix. The practice emphasizes opening up all the joints and stretching and strengthening each and every muscle, while also practicing mindfulness and relaxation. 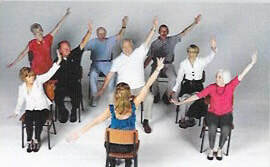 * "Chair Yoga" and "Sit Down and Move" Programs are designed to fit each group or individual. Chair classes often include a standing portion, working on balance, and are appropriate for anyone of any age, size or fitness level who might benefit from moving the body, but in a gentle way, and relaxing the mind. * Adventure/Retreats to Negril, Jamaica. Lots of Yoga, combined with fun and adventure. Future retreats are being planned. * Special workshops including "Clearing the Chakras Through Yoga", "Mindful Yoga for The Back” and “How to Age Gracefully and Healthfully”, presented upon request. * A series of Boomer Talk articles, published in the Newburyport News. * A 75 minute Chair Yoga DVD. These essays, published monthly in The Newburyport (MA) News, for the past eight years, address the concerns ofThe Boomer Generation...and those beyond. The articles include: "The Glass Ceiling, Friendships Lost and Found, Real Men Do Yoga, Let's Not Go There...Death and Dying, Boomers Questioning Authority, Vacation Deprivation, When Habits Become Addictions, Dating, Again, The Dance Revival to name a few. If you want to read even more please visit. 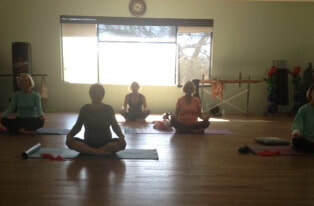 ​ For all levels, a gentle yet dynamic class to stretch, strengthen, balance, relax and come home to yourself. We flow from one pose to another, like a dance, with inspiring music creating the mood and tone of the class. ​ Open to the public. Although mostly done in the chair, there is time for standing, working on balance and strength while using the chair as a prop. Stretch bands are used to further open the joints. You leave feeling very relaxed but knowing you had a good work-out.